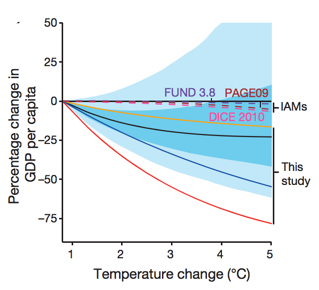 A recent paper published in Nature by Marshall Burke, Solomon M. Hsiang and Edward Miguel Global non-linear effect of temperature on economic production argues that increasing temperatures will cause much greater damage to the world economy than has been previously predicted. Furthermore, these losses will be distributed very unequally, with tropical countries getting hit very hard and some northern countries actually benefitting. Let me attempt a highly simplified summary to explain what they did. I’m not an economist and their analysis is not straightforward, so beware. If I confuse you, try Dana Nuccitelli’s take or Seth Borenstein’s or Bloomberg’s. Firstly, Burke et al. looked at factors like labour supply, labour performance and crop yields and how they relate to daily temperature exposure. 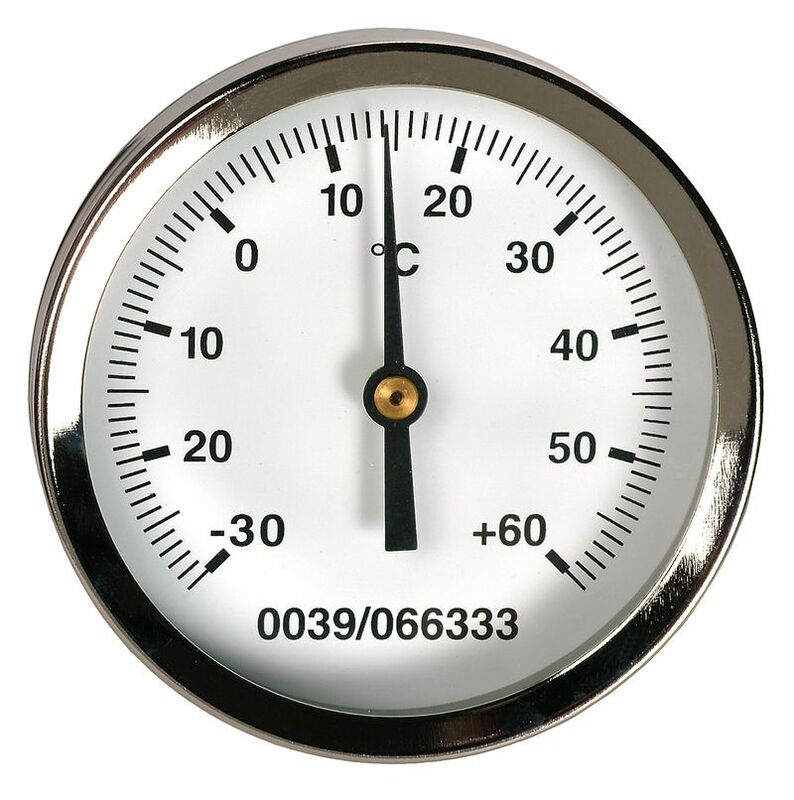 Generally these show little variation up to temperatures in the high twenties Celsius, at which point they fall off quickly. Secondly, those trends were aggregated to predict the relationship between annual average temperatures and the annual impact on economic output. Thirdly, they looked at annual economic output and average annual temperatures for individual countries for the period 1960-2010. Note that they only compared the economic effects of temperature change on individual countries, they did not correlate one country with another. They were able to see how the observations compared with their predicted aggregate curve. From Burke et al. (2015). Other things being equal, poorer countries are expected to grow faster than already rich ones over the course of this century, which will reduce inter-country economic inequality. However, according to Burke et al, because poor countries tend to have warmer climates than rich ones, global warming will slow the rate of economic growth among the already warm and may even provide a boost to the economy for cool countries and regions such as Canada, Russia and Northern Europe. If global warming continues into the latter half of the twenty-first century, many countries may see the gains made over the next few decades reverse themselves. By 2100, some countries may find themselves back to where they are today, despite decades of progress made in the meantime. The two figures above show projections of wealth for the 166 countries studied under two economic scenarios: a high-growth, high-convergence one on the left and a low-growth, low-convergence one on the right. The grey lines show the baseline growth trajectories assuming no warming and the red lines the growth under the RCP8.5 worst-case greenhouse-gas concentration pathway. Inequality is bigger at any given time when the vertical extent of the bundle of lines is bigger. (The vertical scale is a log scale.) 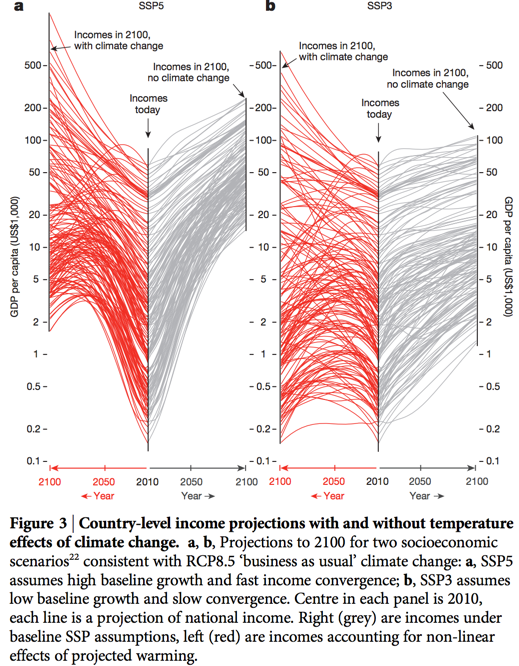 If there is rapid growth (left), warm, poor countries will lose part of their hard-earned wealth as the climate warms—even so, they may end up ten times more wealthy than they are today. If there is only slow growth (right), many currently warm, poor countries may find themselves back where they started. Because some cool, rich countries become even wealthier under global warming than they would under a stable climate, global inequality between countries will greatly increase or, at best, stay at current high levels. Burke et al. find that the cost of climate change is 2.5 to 100 times as high as previous estimates from the IAMs, with a central tendency of about 10 times the size. The damages in this study are much bigger at 2°C than the damages in IAMs are at 5°C of temperature change. As Joe Biden might say, this is a big [modifier redacted] deal. It is also sure to be contentious. For example, an economist who advises the denialist Global Warming Policy Foundation has, not uncharacteristically, already complained that Burke et al. did not perform the statistical tests that he would have done. The bottom line here is that the damage functions used in most IAMs are completely made up, with no theoretical or empirical foundation. That might not matter much if we are looking at temperature increases of 2 or 3°C, because there is a rough consensus (perhaps completely wrong) that damages will be small at those levels of warming. The problem is that these damage functions tell us nothing about what to expect if temperature increases are larger, e.g., 5°C or more. It’s probably worth emphasizing that the damages in Burke et al. are calculated without any consideration of losses arising from ocean acidification, sea-level rise or increased extreme weather events, such as tropical cyclones. This is far from the full picture of climate-change damage. The northern countries that do well out of this analysis should not feel complacent. No country is an economic or social island and the disruption among neighbouring countries and trading partners will certainly have adverse effects that haven’t been accounted for here. A future increase in inequality, dashed hopes of development, combined with pockets of extreme deprivation may make the current refugee crisis that is unfolding in Europe appear trivial by comparison. Reference: Burke, M., Hsiang, S. M., & Miguel, E. (2015). 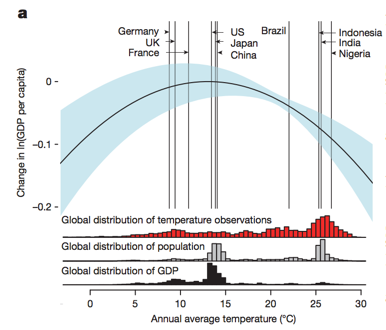 Global non-linear effect of temperature on economic production. Nature. ← Volkswagen Got Caught Cheating Emissions Reporting. Will B.C. ?